Apple takes its goals seriously and that includes proving safe and ethical working conditions in its supply chain. The company has recently formed an academic advisory board for its Supplier Responsibility program, The Loop informs. To form the advisory board, led by Brown University Professor and Watson Institute Director-Professor Richard Locke, Apple tapped eight professors from top U.S. universities. The all-volunteer team has been working together already for six months. By accepting the new position the team members will have the task of studying and making recommendations to Apple about current policies and practices. 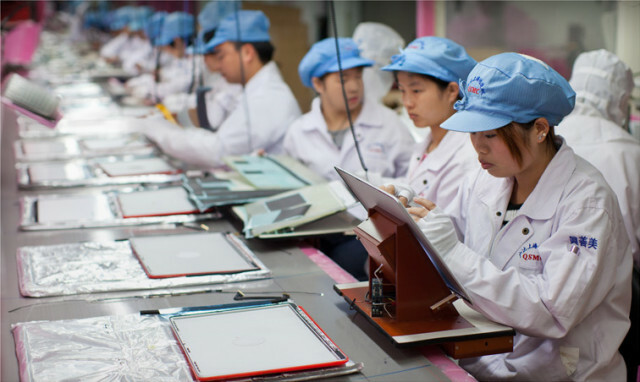 They will conduct or commission new research on labour standards within Apple’s supply chain and share the existing data to help improve existing policies and practices. All research that is commissioned by the advisory board or done directly by its members will be subject to the highest academic standards. It is expected that that the new research will result in publicly available working papers, as well as published articles in professional journals. Locke hopes that the board will shape the practices of Apple and its suppliers so that the millions of employees involved in Apple’s supply chain work under safe and fair conditions, in which “they are paid living wages, work within the legal work hour regimes, [and] work in environments that are safe and where they can express their rights as citizens,” the Watson Institute announced. Here are the members of Apple’s academic advisory board: Richard Locke (Watson Institute, Brown University); Chairman Mark Cullen (Stanford University); Eli Friedman (Cornell University); Mary Gallagher (University of Michigan); Margaret Levi (University of Washington); Dara O’Rourke (University of California, Berkeley); Charles Sabel (Columbia University); and Annelee Saxenian (University of California, Berkeley.